Easy and effective way to log time and get great timesheets. Log time is one of the most common operations. Therefore if you improve process of logging, it will significanly upgrade your efficiency. From the task detail - click "More" from right menu and choose "Log time"
"More" menu item - click log time on "personal statement"
Explore time tracking in Easy Redmine 2018 free trial. Log time is one of the most common operations. Therefore if you improve the process of logging, it will significantly upgrade your efficiency. Redmine time tracker plugin allows you to create advanced exports that can be valuable resources for your decision making since we all know that you can improve something only if you are able to measure/quantify it. Redmine time reports and timesheets are a great resource for your billing or invoicing as well. Currently available export formats: CSV, XLSX, PDF. 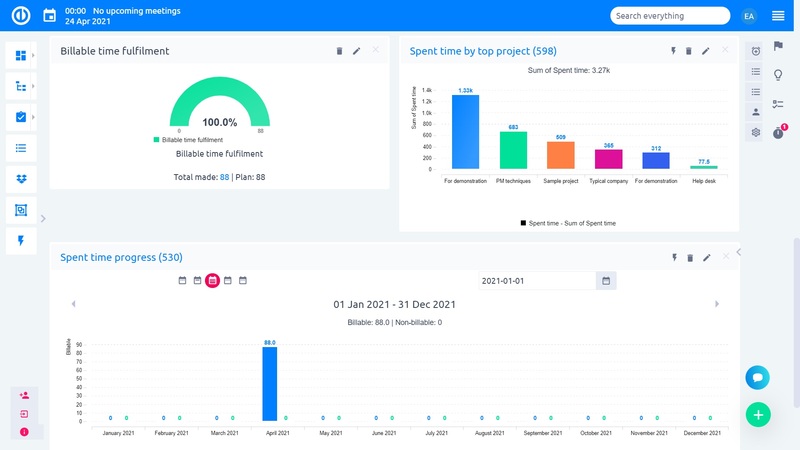 Redmine Time Tracking developed by Easy is the ultimate and only time tracking solution you will ever need - mainly due to advanced functions and ability to log time basically from every level of user interface. 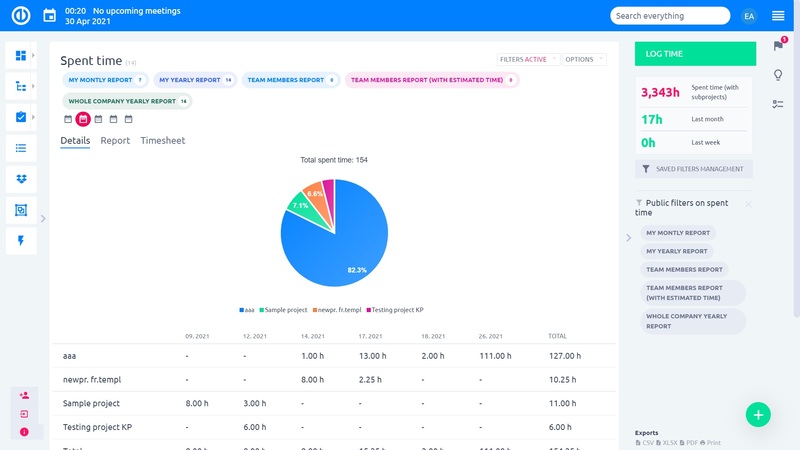 It's easy and obvious - log time easily, get a better insight and overview about spent time and thus reach higher efficiency.